An ex-computer scientist, who is now a gardener, had a brilliant idea: using felines to protect his crops from rodents in order to keep doing organic farming. Jean-Pierre Demailly, a French market gardener living in the north of France (in the Hardines, in Ham -Somme department), surrounded himself with cats to get rid of pests. 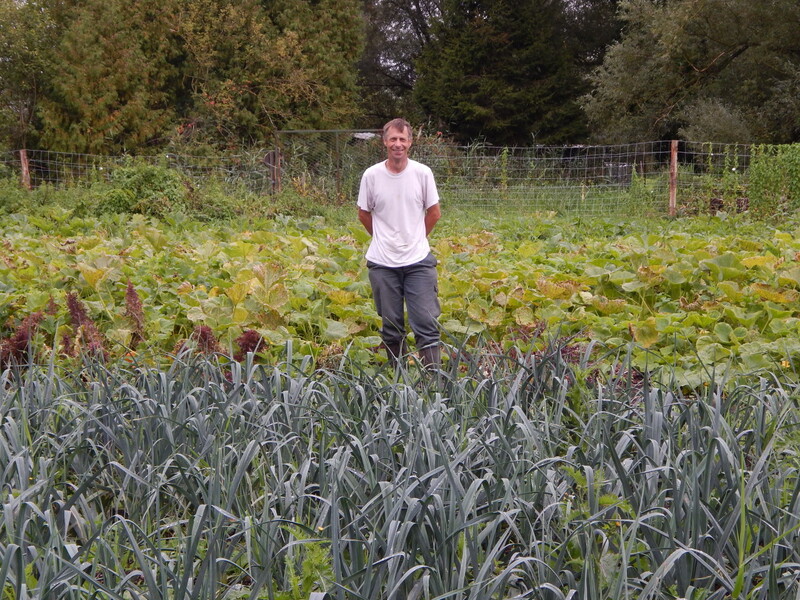 Settled on former market gardening land, he produces 35 varieties of vegetables and sells them directly to customers. Thanks to rich humidity, his soil is suitable for cultivation. Unfortunately, it also attracts many rodents, which cause significant damage. Indeed, according to the farmer, they can eat three quarters of kohlrabi–a great loss! And since his vegetables are organically produced, he can’t use any pesticides. After setting traps and small cages—without results—he raised the problem with customers during a sale. By chance, these consumers, who are also members of an association dealing with stray cats, offered to bring him some felines that were not domesticated so that they could hunt on his grounds. The farmer feeds the cats and hosts them, but cannot domesticate them. They live on the 15,000 square meters of cultivated land, located in the middle of 32 hectares of woods and fields. And it has worked! Jean-Pierre Demailly loses less money. He does not often see his new friends, since they are difficult to approach, but he has already found some dead rodents. It is too early to know if this initiative will save all of the crops, but the first finds that have been made are hopeful: he is on the right track! But, while this method to protect his cultivation may seem atypical, it is not so new: in the Disneyland amusement park in Los Angeles, 200 cats hunt mice once visitors leave. At a time when we are tracking alternatives to pesticides, this ancestral method could be make a return as a novel solution!